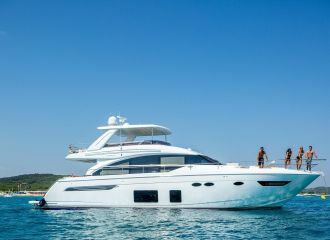 This Sunseeker Manhattan 70 charter yacht boasts spacious deck areas where you and your guests will be able to relax, sunbathe and enjoy a great dining experience. 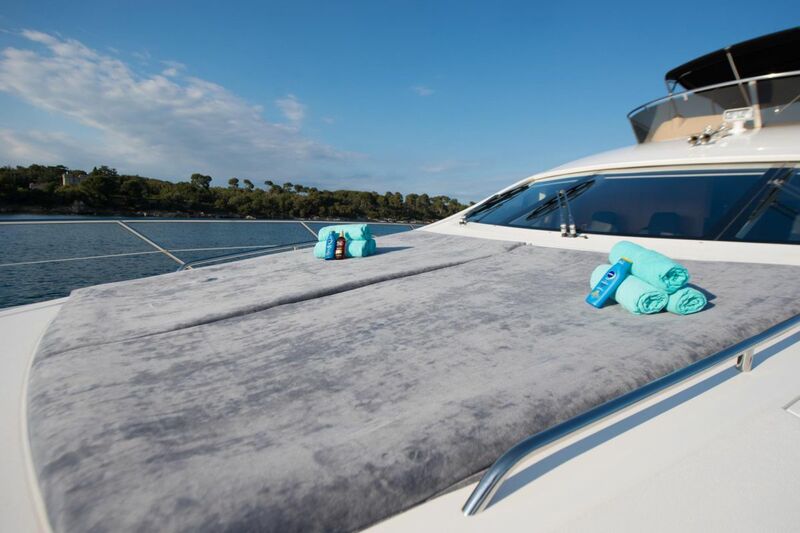 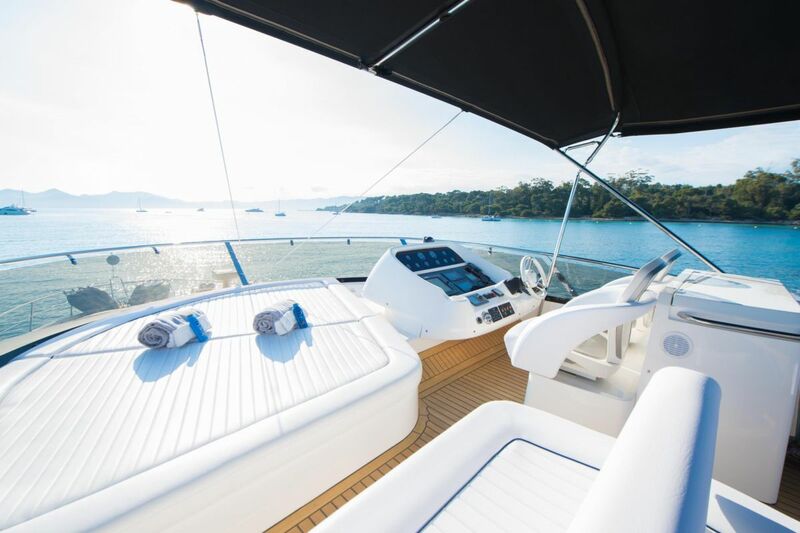 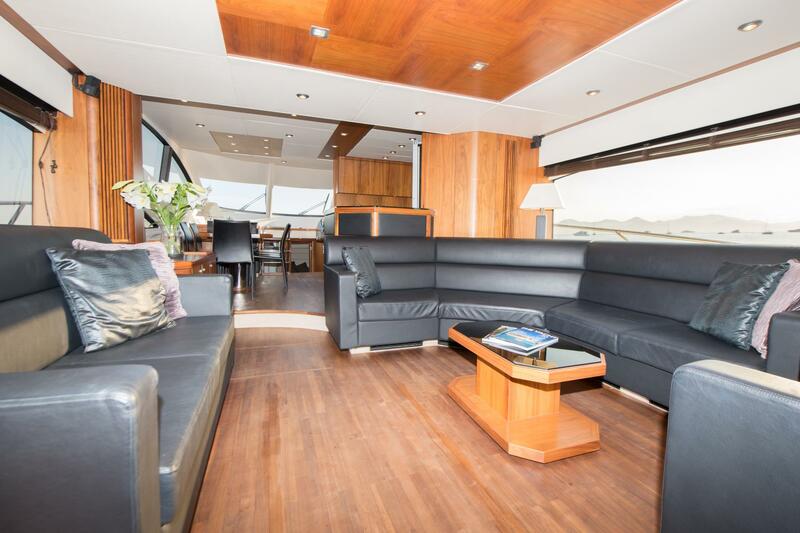 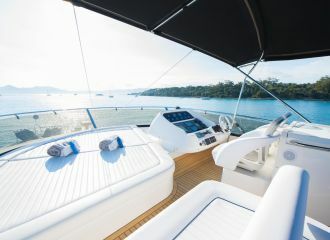 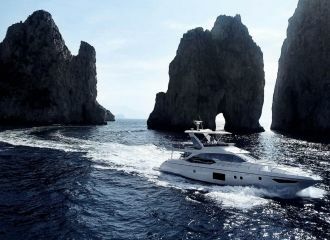 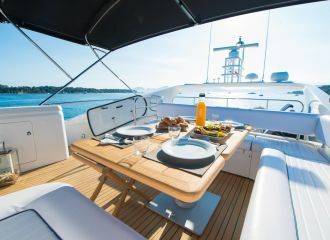 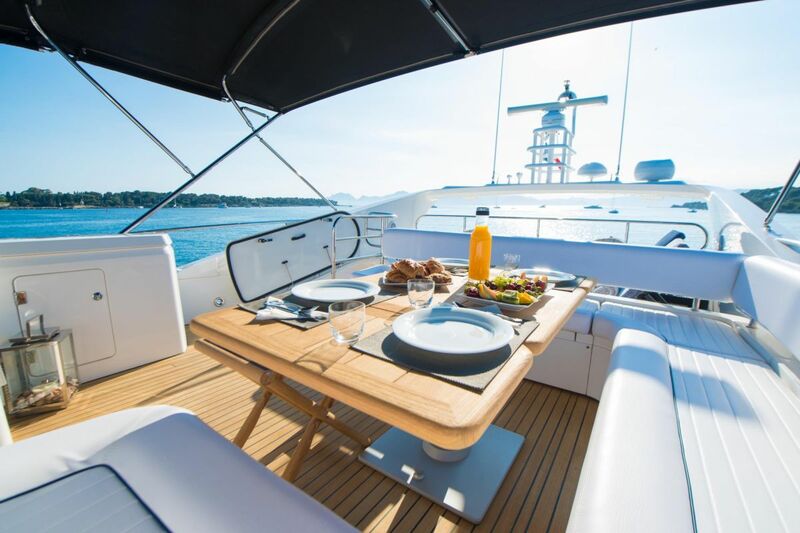 Her flybridge is just another spot to relax and enjoy the beautiful views of the French Riviera coastline. 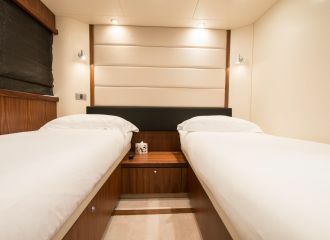 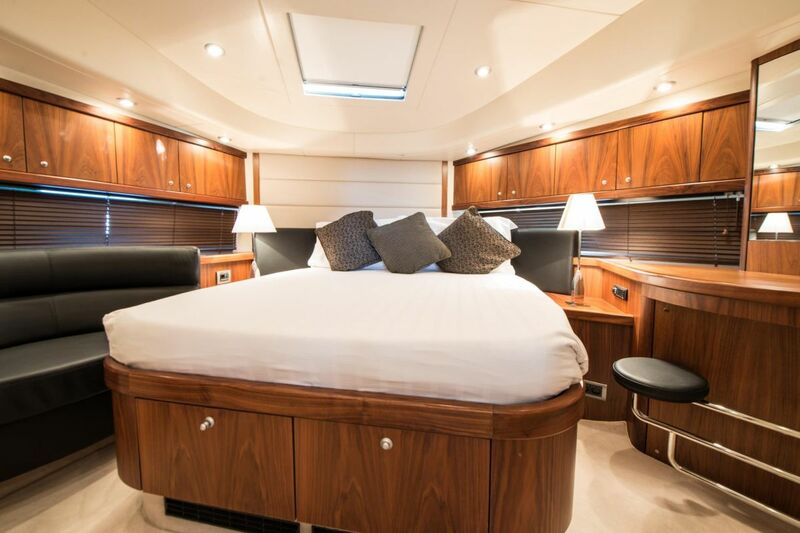 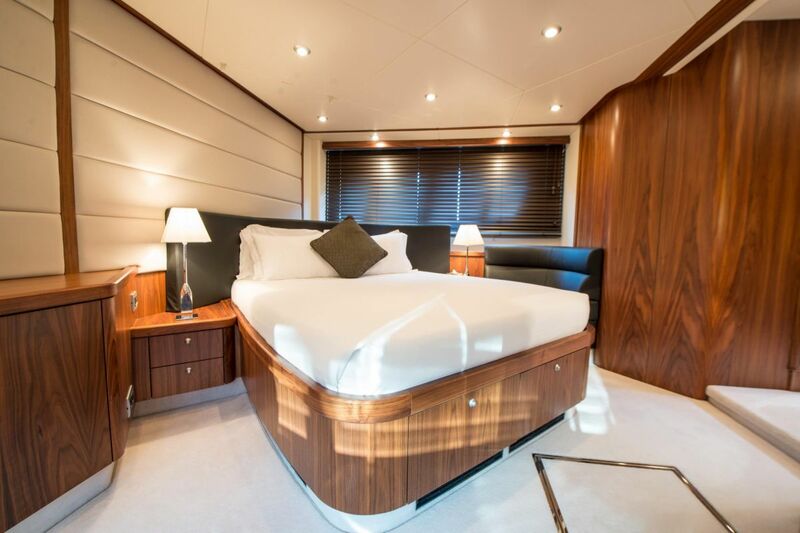 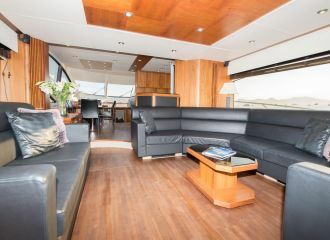 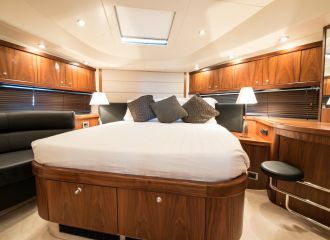 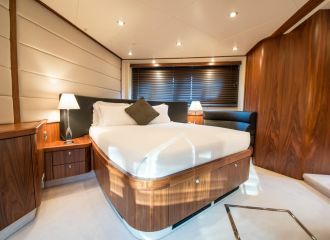 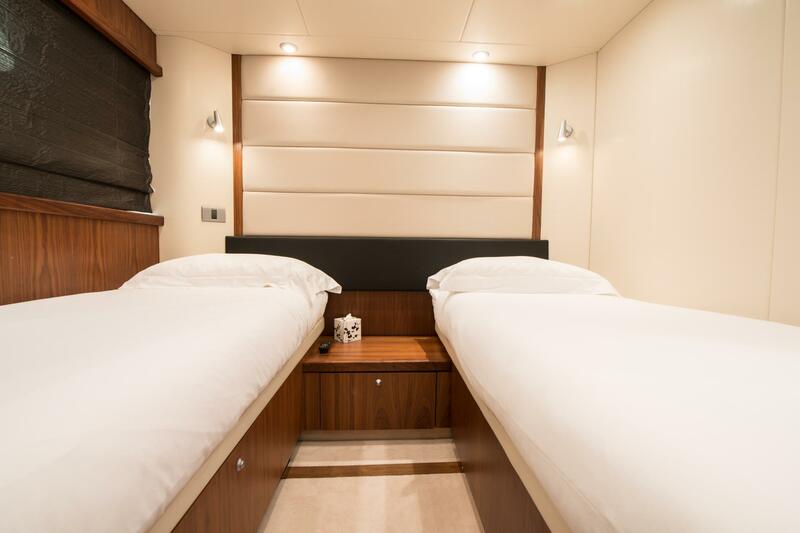 The yacht offers accommodation for 8 guests in 4 cabins: 2 double, 1 convertible (set up as a double or as a twin) and 1 twin, all en-suite. 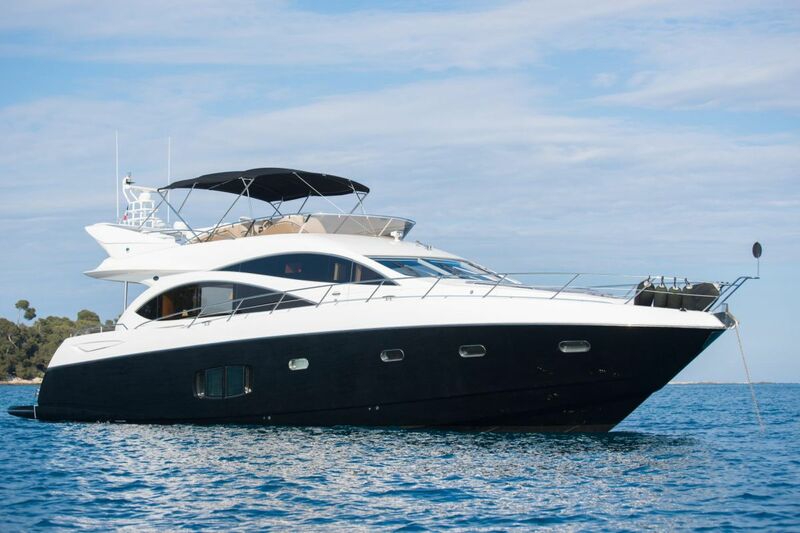 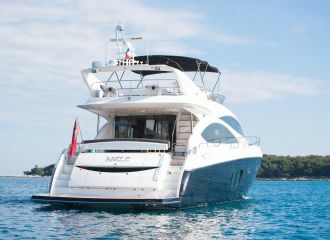 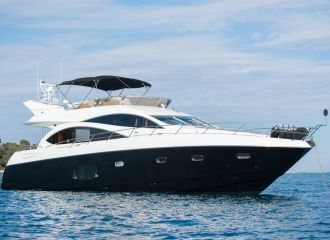 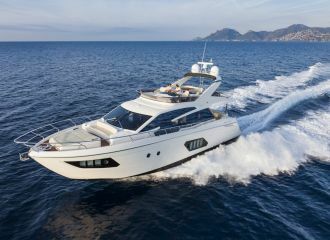 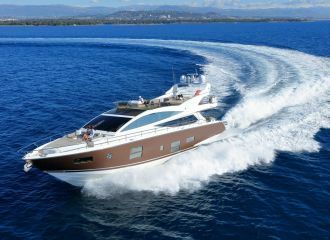 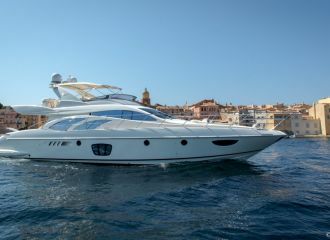 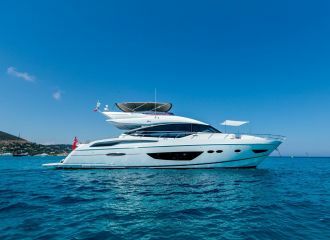 This Sunseeker yacht is currently available for a south of France yacht rental. 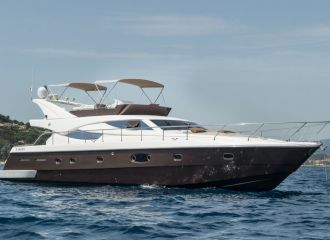 total 4400	€ Excluding VAT and APA ?